First of all ,Happy Holi to all my Indian readers. 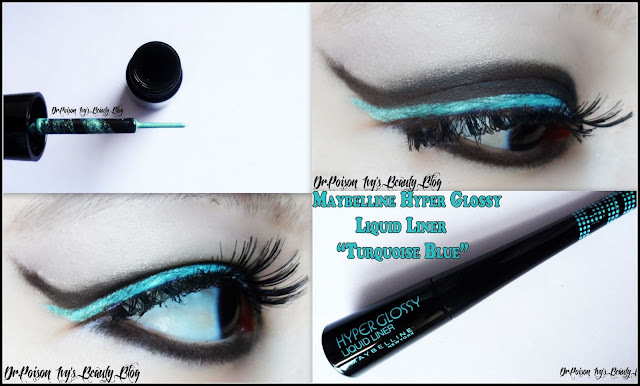 To add colors to this season Maybelline New York has launched Hyperglossy Runaway Pop Liquid Liner in different shades. i'm staying in because one of my friends got attacked with "EGGS" !! It comes in a small conical package. Half of the cone can be twisted off and this makes up the brush section of the liquid liner. It is really handy and can be easily dropped into a purse or bag to carry around in case you need to touch up your make up. The writings on the cover is in the shade of the liquid liner. 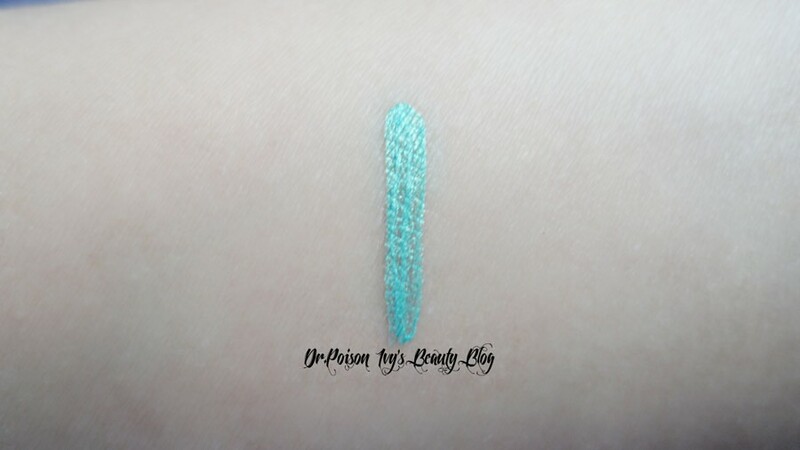 I was sent "Turquoise Blue" for review purpose. 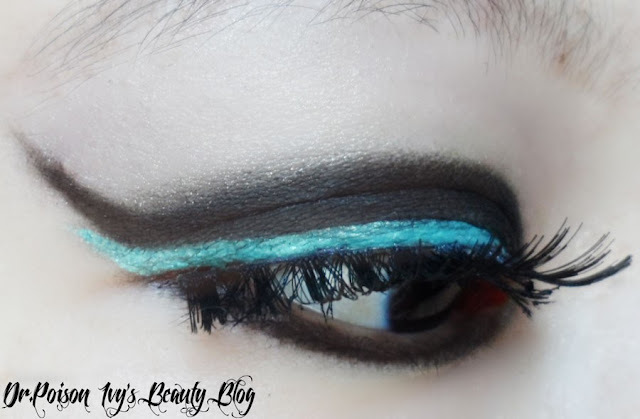 Anyway, this is a very lovely teal colored liquid liner. But it's more of an evening party eye-make up color rather than an everylook shade. It has mild shimmers in it. There are 2 other shades- Khaki and Tangerine Orange. I found the formula very glue-like. I tried to click pic of the ingredients but it was too tiny and transparent ,i couldn't get a good pic. Though i needed more than 2 swipes to acheive the look i created. You can see in the picture that the brush is staright from the base till the tip. But this does not hinder the application in any way. It dries within second of application. But even though it isn't waterproof,its not flaky. However on contact with water, it peels off like a glue applied to skin. You can wear it as it is - ie without any kohl. This will give a very spring and fresh look. But i prefer to pair it with Black eyeshadow to make the Turquoise pop a little more. Also the Black color adds depth and character to the whole look. could follow me back :) it'd be great to keep in touch! I so love your eye makeup here ♥ very pigmented. and btw, what eyeshadow did you used here? 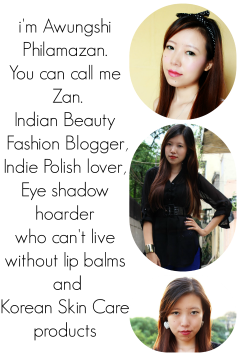 beautiful shade and EOTD is very pretty..
thank u for dropping by. The color looks so cool on u! 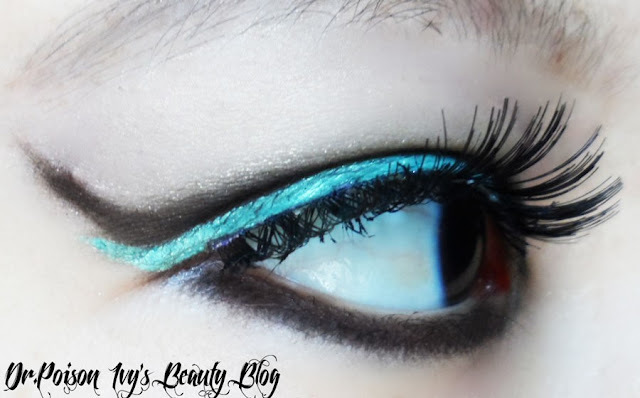 Love ur eotd! i love turquoise and your eye look!! !